The exam board AQA now issues three in every five GCSE certificates after increasing its dominance of the market for the second year in a row. AQA’s share of the GCSE market reached 60 per cent in 2017-18, up from 52 per cent the year before and 46 per cent in 2015-16. The increase has been put down to a rise in the number of certificates in subjects where AQA is the market leader, including combined science, biology, chemistry, religious studies, physics, geography, food preparation and nutrition and English language. 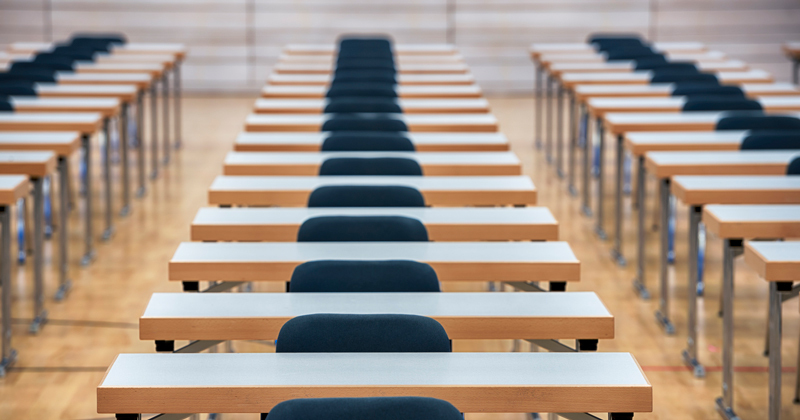 The exam board has the largest market share in eight of the ten high-volume subjects, according to Ofqual’s annual qualifications market report. At the same time, OCR’s market share slumped from 13 per cent in 2016-17, to 8 per cent in 2017-18. The Cambridge-based exam board held a 16 per cent market share in 2015-16. OCR’s slump in 2017-18 is not explained in Ofqual’s report. Pearson, which runs Edexcel, issued 26 per cent of all certificates last year, down from 28 per cent in 2016-17 and 30 per cent the year before. The market share held by WJEC, the Welsh exam board, remained at 6 per cent last year, the same as it was in 2016-17 and two percentage points lower than in 2015-16. At A-level, AQA saw a slight fall in its market share, from 47 per cent in 2016-17 to 46 per cent in 2017-18. At the same time, OCR’s share increased slightly from 22 per cent to 23 per cent. Pearson and WJEC remained the same.